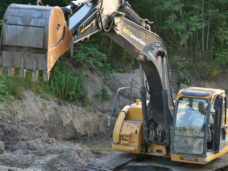 Russell Sturtz Excavating is a family-owned business providing quality construction services for more than 30 years. We work with hundreds of clients a year, but because we personally handle each project, we can provide high-quality services. Our customers also benefit from our years of knowledge and experience. 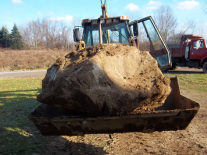 We handle everything from material, septic systems and water lines, to site development, landscaping and demolition. 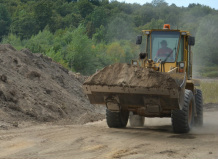 Regardless of the size or difficulty of the job, we’ve seen just about everything over the years and can help you complete your construction project. We also offer competitive pricing. In today’s economic climate, we pride ourselves on providing our customers the best value possible and will try to work within your budget.